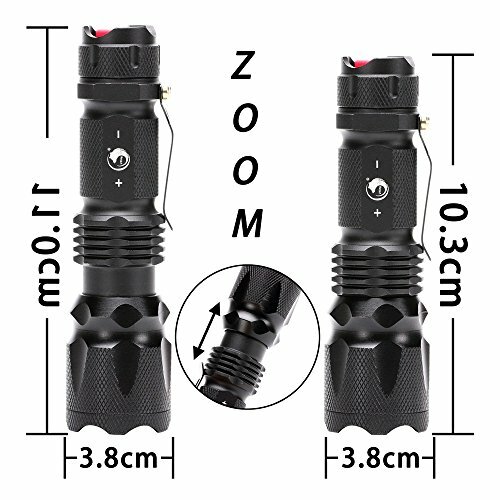 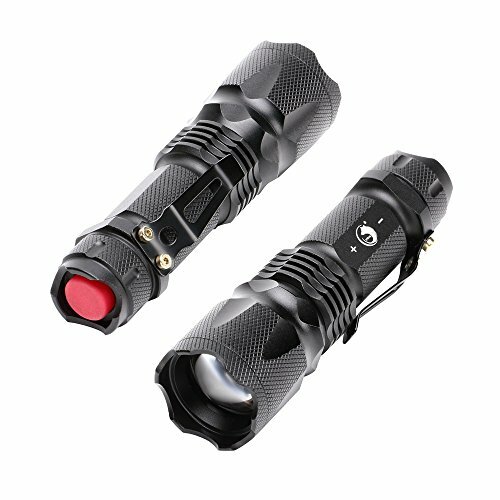 A.300 LUMENS:The Highlight up to 300 lumens,The Torch Reaches a Distance of 600 feet at the Farthest. B.Adjustable of Telescopic Focusing: Zoom into a Beam of Light or a Wider Range of light. 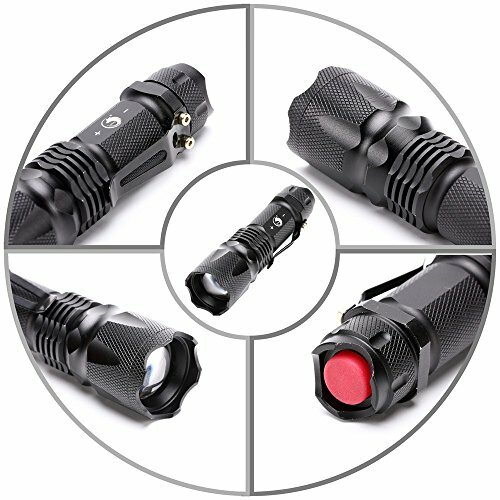 C.3 Different Lighting Models:High,Low and Strobe. 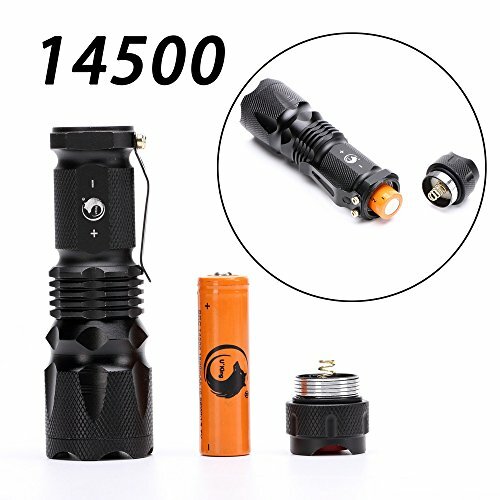 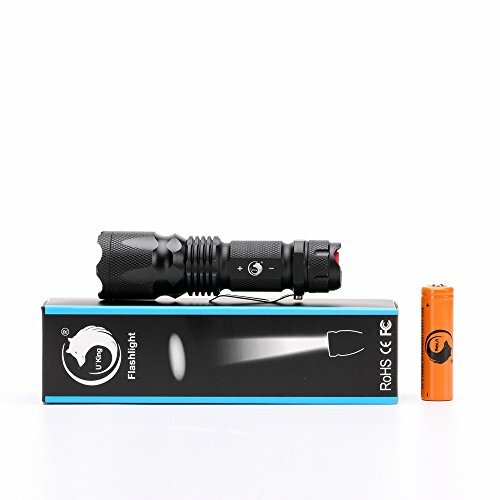 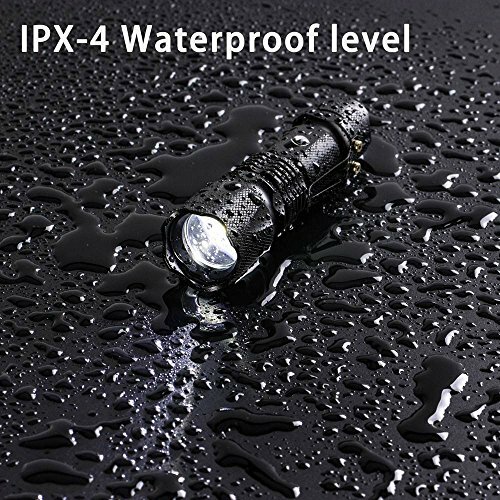 d.Battery Replaceable:With a Single AA Battery or a 14500 Rechargeable(Included),The Flashlight Works. 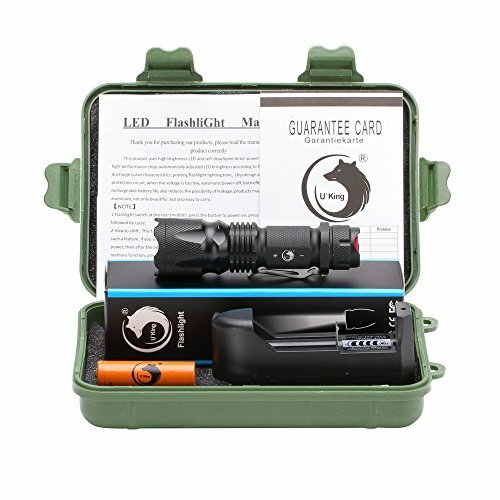 e.Our warranty:u'king is professional in flashlight field ,we treasure every customer's shopping experience .if you have any problems about the headlamps ,please don't hesitate to tell us and we must adopt some measures to make you satisfied.